LessThanPi Art: Pi, E, and Inspriationat work. Pi, E, and Inspriationat work. I did some messing around a few nights ago. Wanted to take a break from portraits and get in some... me time. For those of you who don't know Pi and E are leading characters in my comic Apple Pi E Less Than Three; a comic about the anonymity of the internet, and self reliance! 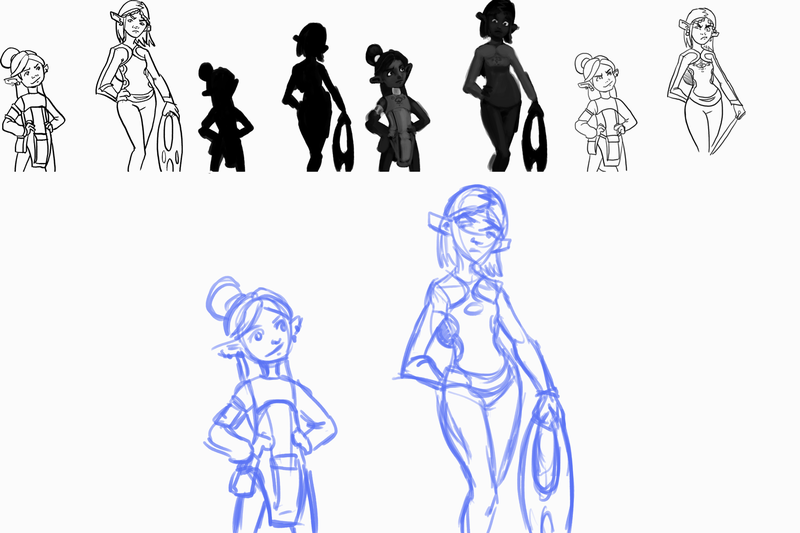 I actually ended up going into work early yesterday and doing ton of concepting and planning. Trying to simply my characters so I could draw a page or two a day and so I could simplify my story. Unfortunately time flys so so fast, I wasn't able to get as much as I'd like done. I did find a style that's me and that's fun. Hopefully I'll be sharing more of that with you in future LTP shows... I think I'm going to focus them on my comics. From here on out... Let me know what you think about that. Also at work yesterday I met a young artist. He couldn't have been more than 9 or 10, but this kid was going in! He loved the classic disney characters and from memory he was putting them down on paper inbetween bits his lines were wobbley but it was almost like he was tracing these images from right out of his memory. I was so impressed. When I showed him my sketch book and asked for advice he told me to draw disney characters (he named maybe 20 of them) Talking to him more he told me he drew 4 hours a day. Now all you serious artists out there know that is awesome. That kid is going to be a monster if he keeps going like he is. Its really an inspiration to see people especially people younger than me working so hard to improve their craft. When he asked me for advice I just told him keep drawing, never stop. Anyone else who is serious about progress in anything that's my advice. Push yourself to be better every spare moment you have. Never stop learning, never stop improving, and never create obstacles and excuses to impede you. Whats your biggest dream and what are you doing to turn it into a reality? Well guys thanks for reading through all this, I promise lots of awesomeness soon. Any comments, questions or suggestions on this post or future projects leave it below for me. As always guys God bless, be safe.